The stocking of Hinkle and Deegan Lakes is not a new trend. This photo from 1966 shows volunteer firemen getting ready to do just that more than 50 years ago. If you can identify these individuals, please do so in the comment section below. 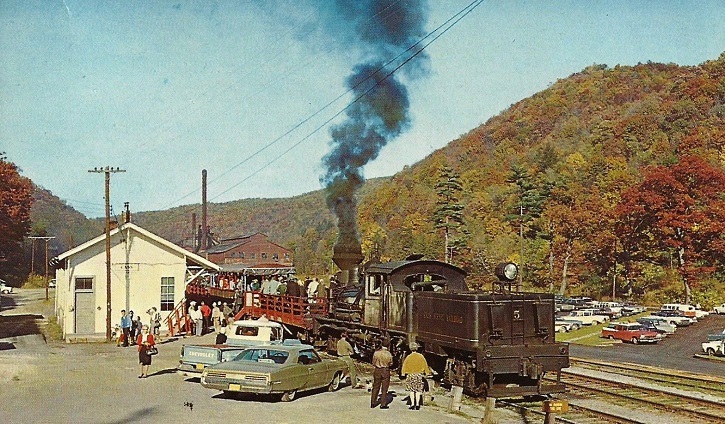 The Cass Railroad is Pocahontas County has been around for decades and still provides beautiful exursions in the rugged mountains of West Virginia. This photo is from right around 1965.